April 30, 2016 10:56 am. The Thousand Guineas is a popular race during an extended Melbourne spring carnival and many of the entrants push on to races later in the spring. Raced at Caulfield, the Thousand is a great guide to fillies which will later become better as mares. Unlike a few age-group races in Australia, the Thousand Guineas is a race where the fillies strengthen nicely and continue to race at a high level for years to come. Examples of that in recent history have been the likes of Miss Finland, Gregers, Amicus and May’s Dream which all maintained their form later in their careers. Punters can bet into the Thousand Guineas markets for most of the year which makes it a lucrative betting affair for serious and casual bettors. There are no odds currently available for the 2019 Thousand Guineas. Horse Betting will update this page as soon as markets become available. Global Glamour made it back-to-back Group one victories in 2016 having won the Flight Stakes leading into the Thousand Guineas. 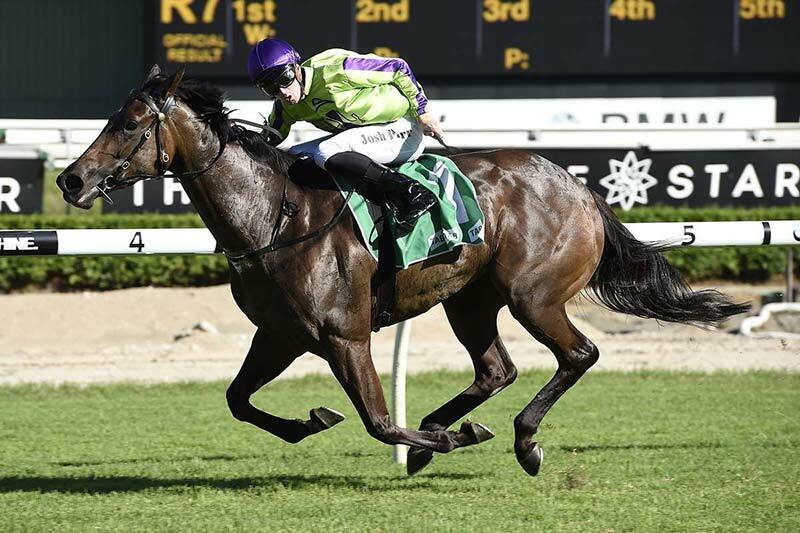 The win gave co-trainers Gai Waterhouse and Adrian Bott their first win in the race and it continued to good run of Sydney-based horses. It led all the way and held off a strong challenge from I Am A Star and Perth galloper Whispering Brook. 2011 winner Atlantic Jewel was one of the best-performed Thousand Guineas winners in recent history. The Mark Kavanagh-trained runner went on to win 10 from 11 starts in a shortened career which included four group 1 victories. It defeated the well-performed Mosheen, Sharnee Rose and Hallowell Belle in the 2011 Thousand Guineas and it had a huge following with punters – winning the race at odds of $1.75. Miss Finland was a champion juvenile for trainer David Hayes which won the 2006 Golden Slipper prior to winning the Thousand Guineas. It won a total of 11 races from 26 starts and over $4.5 million in stakes money. Its career will always be in Australian racing folklore and the Thousand Guineas win was a big part of that. Alinghi won the 2004 edition and it now has a raced named after it. The daughter of Encosta De Lago won three major races in its three-year-old year which culminated in the Thousand Guineas. That form was rewarded with the Australian Champion Filly of the Year award. The favourite has won seven times since 2000 which includes Atlantic Jewel, Miss Finland, Alinghi, Guelph and Irish Lights. The Thousand Guineas is known to be a favourites race, but there have been some long-priced winners in recent history and punters have been finding great value. Serious Speed won in 2007 at odds of $16 and only three years later Yosei was winning with a young Michelle Payne in the saddle at odds of $11. 2014 winner Amicus paid $10 and 2015 winner Stay With Me won paying $8. Ten winners have paid double figures since 1983 with an average winning price of $14.50 and although five favourites have won in the past 10 years, the five horses that didn’t win also failed to place in the Thousand Guineas. One of the worst performances from a favourite came in 2014 when $1.90 favourite Lumosty finished eighth behind Amicus. The form out of that running has been fair with only Amicus and Sabatini showing any form at the elite level. Arguably the best Thousand Guineas form race came in 2010 when Yosei upset them. In behind Yosei that day were the likes of Brazilian Pulse, Sistine Angel, More Strawberries and Cox Plate winner Pinker Pinker. When looking for a form race coming into the Thousand Guineas, look no further than the Edward Manifold Stakes. Eight winners have come through that race since 2000 which includes Gallica and Alinghi, so keep an eye on that race which takes place in early October. Markets open early for the Group 1 Thousand Guineas as it is one of Australia’s major races on the calendar. Sportsbet is the earliest to get all-in markets out and check in closer to the race for its Thousand Guineas betting specials. All the bookmakers below offer competitive Thousand Guineas odds. In one of the most spectacular finishes in Thousand Guineas history, Darren Weir-trained filly Amphitrite delivered a stunning turn of foot to register her maiden Group 1 win. Entering the straight it looked like Amphitrite was too far back, but once the race hit the 200m the three-year-old unleashed and descended on the leaders like a steam train. Claiming Fundamentalist right at the post, Amphitrite announced herself as a filly to watch for the remainder of the spring. Kiwi import Aloisia had shown great signs since crossing the Tasman in 2017 but the market never seemed to trust the sprinter. That all changed in the Thousand Guineas. Settling about midfield in the 1000, Luke Nolan seemed to want to bring the horse to the outside as they straightened but a run presented itself up the inside and Aloisia snapped it up and streaked away to win ahead of Shoals and the fast-finishing Alizee. Global Glamour torched the field in the Flight Stakes in the lead up to the Thousand Guineas and the horse duly delivered as one of the favourites at Caulfield. Jumping out to an early lead, Global Glamour looked to be travelling smoothly in front but when the race entered the latter stages the horse looked vulnerable. The filly dug deep however and recorded a sensational win to gift Gai another Group 1 win. Stay With Me, trained by David Hayes, overcame a sluggish start to emulate her famous dam Miss Finland, who won in 2006. The $8 shot was ridden by Dwayne Dunn with Jameka running second and Badawiya finishing up in third position. Dunn had plenty of work to do after Stay With Me got out of the barriers poorly, but they slowly made ground on the inside before finding a gap and taking advantage of it. Amicus, expertly guided by Hugh Bowman upset a class field with an extraordinary turn of foot in the straight to win by half a length. After jumping from the gates well, Bowman steered Amicus towards the front and set a cracking tempo. As soon as the straight came Amicus charged clear to beat Traveston Girl and Sabatini. Amicus was trained by Chris Waller. Kerrin McEvoy let Guelph set the tempo early on and the favourite was simply too good in a strong field. The win was the Peter Snowden filly’s fourth group 1 success. May’s Dream briefly challenged at the top of the straight, but Guelph ended up winning by 1.8 lengths. May’s Dream and Gregers rounded out the placings. Damien Oliver has the best overall record as a jockey in the Thousand Guineas. The experienced hoop has had a record 18 rides in the race for five wins and two placings. Most other current jockeys have had only one win in the race. Craig Williams, Kerrin McEvoy, Hugh Bowman and Glen Boss have won only once so Damien Oliver is clearly the jockey to follow in the Thousand Guineas. There is also a small list of jockeys to stay away from. Luke Nolen has had seven rides for no wins or placings, Vlad duric with four starts for no wins or placings and Craig Newitt, who usually gets a good book of rides, has placed in only one running from seven attempts. In the training ranks, Clarry Connors is a good bet. Connors has had 10 starters for one winner and four placings, so backing his runners each way looks a good strategy. Mick Price is always improving as a trainer of young horses and his stats of four starts for one win and two placings is up there with the best. David Hayes has had 25 runners for two wins and four placings. Not the best strike rate, but strength in numbers for Hayes.